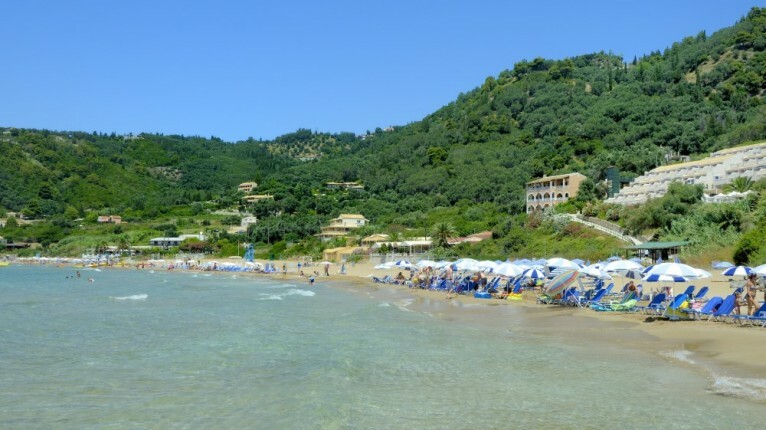 Naftis is located just 50 m behind the beautiful sandy beach of Kontogialo on the west coast of Corfu. 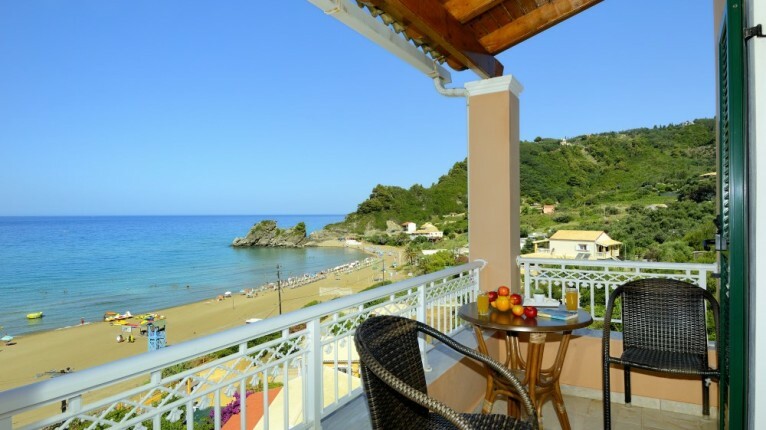 Adjoining the property is the seaside Taverna Naftis which is run by the same family. The house is built over four floors. 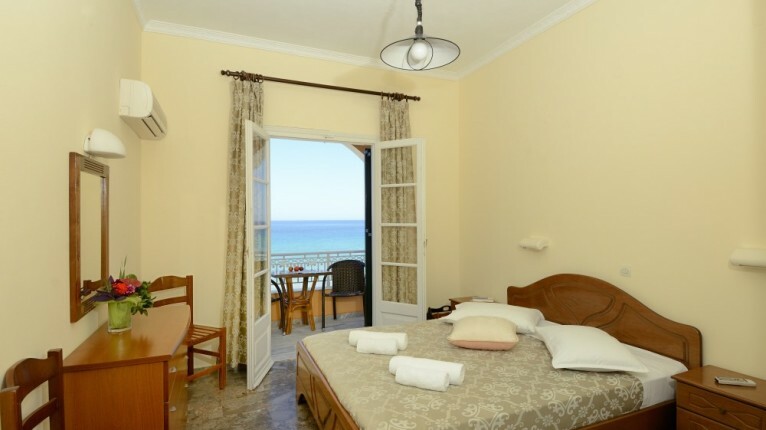 The one bedroom apartments are on the first, second and third floors and have either double bed or two single beds in the bedroom, an open plan kitchen, dining, sitting area and a balcony with sea view. 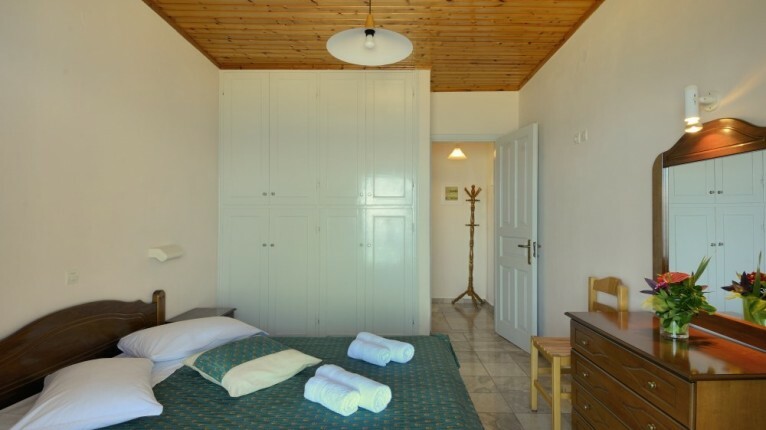 A sofa bed can accommodate a third person and the bathroom has toilet and shower. 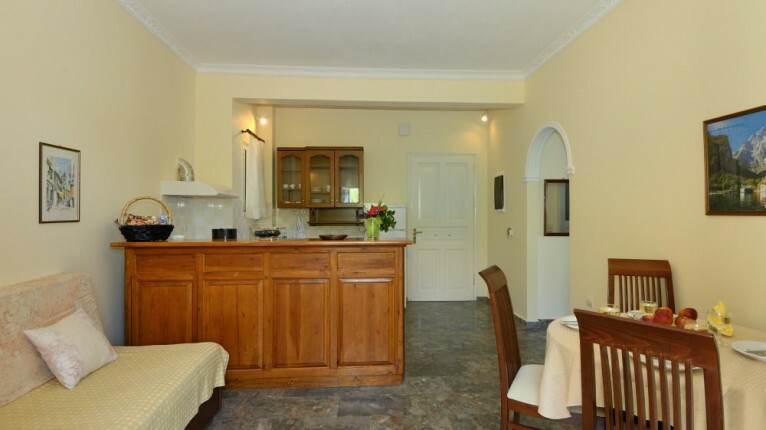 The two bedroom apartment is located on the second floor and has two separate bedrooms, one with a double bed and one with twin beds. 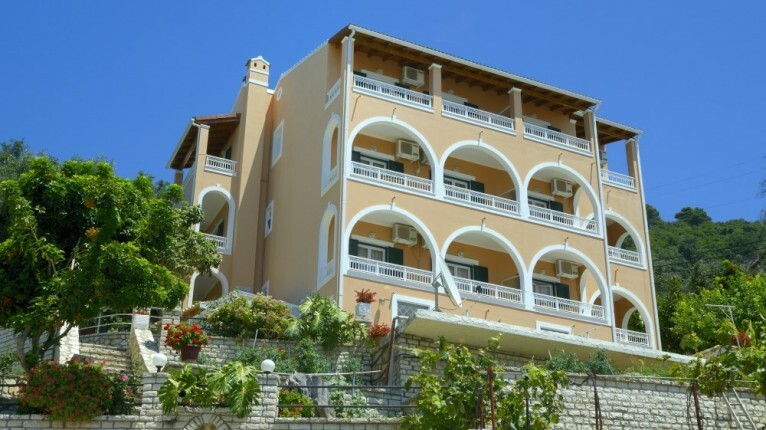 A good size balcony with fabulous sea views runs the length of the two bedrooms. 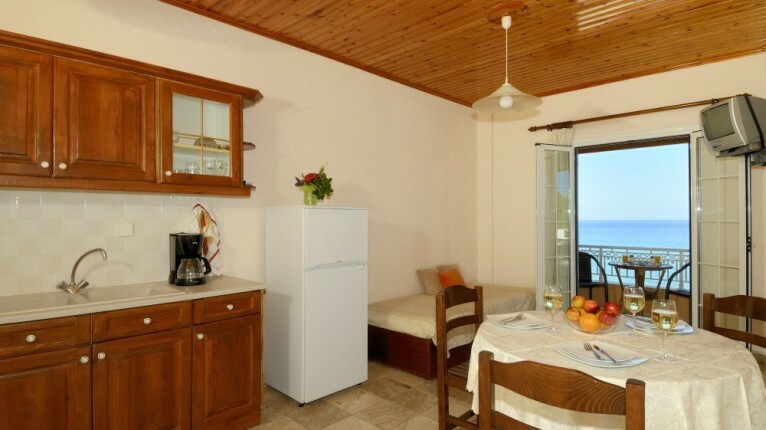 There is an open plan kitchen, dining and sitting area which has a second smaller balcony with side sea view. Here there is also a sofa bed which can accommodate a fifth person. The bathroom has a shower and toilet. 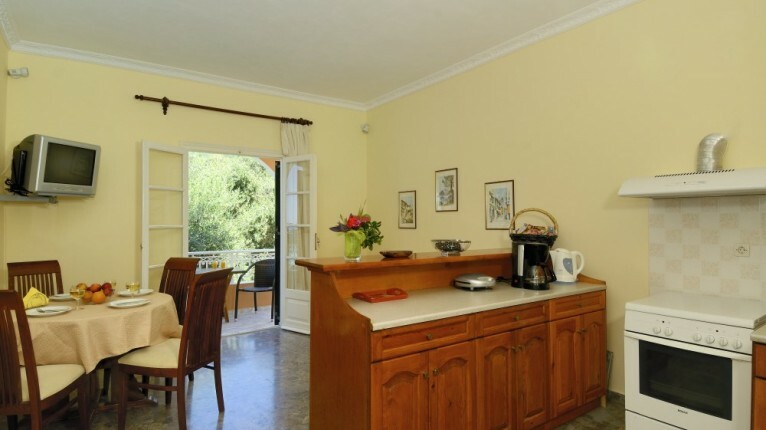 All balconies throughout the house are equipped with a small table and chairs. 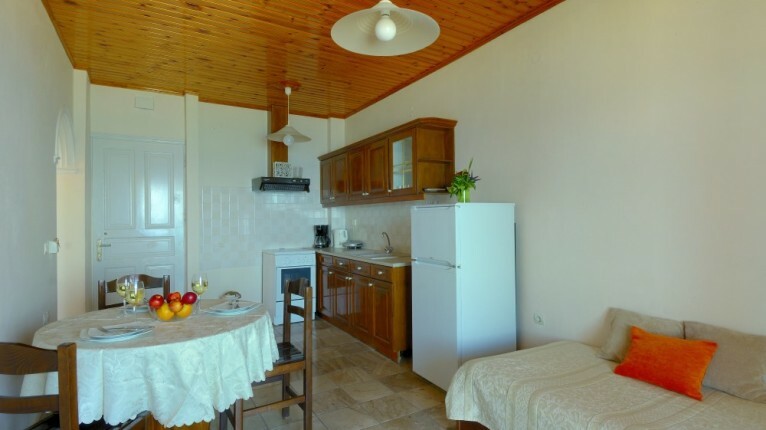 All bedrooms are equipped with air conditioning which is payable locally and there is free Wifi throughout. 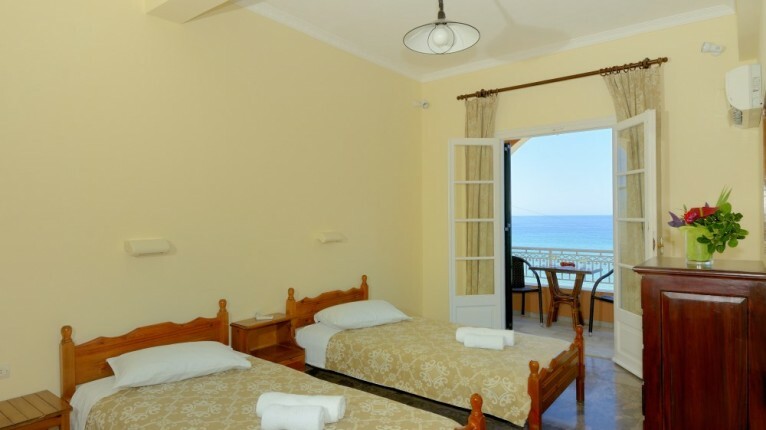 Cleaning and changing of bed linen occurs three times a week whilst fresh towels are provided three times a week. 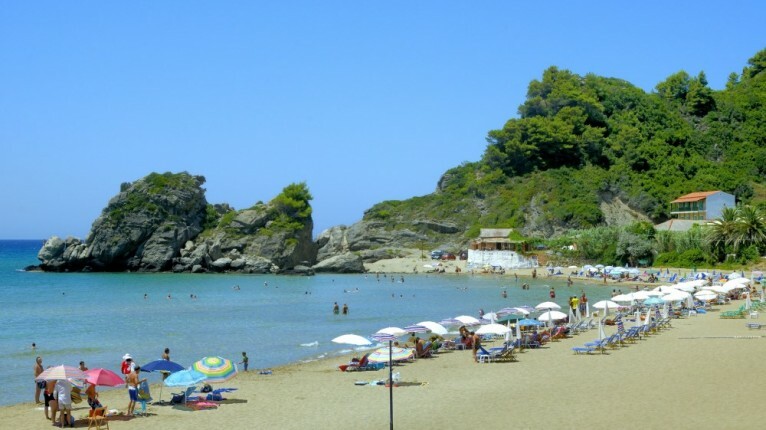 The village of Pelekas is situated uphill at a distance of approximately 1500m – here you will find the famous Kaizer’s Throne with panoramic views of a large part of the island. On the way to Pelekas there is a mini-market for basic daily needs.